The Federal Tax Authority (FTA) has held an awareness session in Ajman the campaign, which was in collaboration with the chambers of commerce, was intended for the merchants and other representatives from the private sector in all norther emirates. 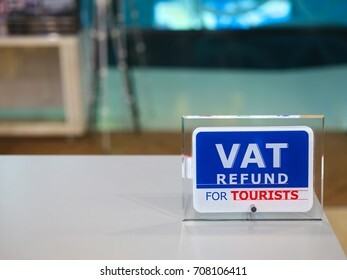 The government allows visitors to recover the value added tax (VAT) incurred on their purchases through the refund scheme. The FTA revealed that there has been a notable increase in the number of agreements signed with retailers to register them in the scheme, equip them with the necessary technology to implement it, and link them to airports and land and sea ports in the UAE. An offshore company is regarded as a legal business set up with an offshore tax haven which is shielded by explicit legislation. The Offshore company formation UAE ensures special status for those companies that are formed under the jurisdiction. An Offshore company in Dubai is given full tax evasion and operates under high level of privacy and security. Dubai and Ras Al Khaimah are the only two offshore jurisdictions of UAE. Both these jurisdictions offer identical services, but just differs in terms of strategic objectives of both distinct jurisdictions . Offshore Company Formation Dubai -When you want to open Offshore Company in Dubai, Jafza – under Jebel Ali Free Zone Offshore Companies Regulations 2003, allows the formation of an offshore Company by individuals or corporate bodies, as a non-resident company, having a corporate legal entity. These offshore companies enjoy all the advantages of other international offshore company formation. It is also important to note that Dubai has Double Taxation Avoidance agreement with more than 40 countries. Offshore Company Formation in JAFZA, UAE– Jafza is one of the largest and rapidly growing freezone of the world and it is home to about 6400 companies from all over the world. It is a place with great business prospects for upcoming investors in the region. An offshore company formation in Jafza is highly desirable and has a sophisticated process with a lot of legal complexities and documentation . Exempt from corporate and income taxes. Seed Group has announced a partnership agreement with a registered VAT and tax advisory firm WTS Dhruva. The group, a conglomerate of companies, owned and operated by the Private Office of Sheikh Saeed bin Ahmed Al Maktoum, said the decision is aimed at supporting UAE businesses in achieving their VAT compliance, avoiding any risks of errors at any point of the VAT filing process and beyond, as well as offering VAT advisory services and solutions through a customised automated reporting VAT digital compliance tool designed for the GCC. “Over the last year, WTS Dhruva worked with multinational clients and regulators on challenging tax environments, policies issuance and infrastructures. The firm will have a positive role by supporting businesses come to grips with tax issues,” Hisham Al Gurg, CEO of the Private Office of Sheikh Saeed bin Ahmed Al Maktoum and Seed Group said. The senior management of the Private Office and Dhruva believe that existence of a specialised tax-focused boutique organisation will change the dynamics of the tax consultancy and compliance support for businesses in the region. Pratik Shah, resident partner and VAT expert, said VAT impacts every aspect of a business from finance, human resources, IT and systems through sales to marketing as the tax is levied at every stage of the supply chain. “VAT also provides an opportunity for an organisation to redesign certain aspects of the business to mitigate tax exposure at the same time being compliant under the law,” he said. Ras Al Khaimah: The Federal tax Authority (FTA) has officially launched phase one of its “tax Clinic” initiative, which seeks to maintain direct and constant communication with taxable businesses. For three months, the campaign will cover all seven emirates to raise tax awareness across the country, urging taxable businesses to register with the Authority and promoting compliance with tax Return requirements and the timely payment of due taxes. Phase one will take place in Ras Al Khaimah over the course of three days – from 7:30 am to 2:30 pm – until August 14, 2018, at the headquarters of Ras Al Khaimah’s Department of Economic Development (RAK-DED) and Ras Al Khaimah Economic Zone (RAKEZ). A press statement issued on Monday explained that the “tax Clinic” campaign will be organised as a collaboration between the Federal tax Authority and the departments of economic development and municipalities in all emirates. Two teams of analysts and specialists from the FTA’s Registration, tax Returns and taxpayers Services will go on an extensive tour, which includes several meetings and an interactive seminar in each individual emirate, with taxable businesses that have not yet registered in the tax system or that have fallen behind on submitting their tax Returns and settling their due taxes – particularly, small and medium enterprises (SMEs). The FTA explained that these meetings are organised in coordination with the departments of economic development and municipalities, who invited taxable businesses to attend and participate in the “tax Clinic”, held at the Customer Service Centres of each emirate’s department of economic development and other relevant authorities. The Federal tax Authority called on businesses to attend the “tax Clinic” and benefit from the opportunity to ask any questions they may have, reiterating its commitment to coordinating with the relevant federal and local entities to implement the tax system and boost cooperation. This, in turn, serves to increase awareness among all stakeholders, maintain the utmost transparency and accuracy of information, and effectively address public enquiries to promote compliance with tax laws and prevent violations. Internal Audit advances businesses to achieve their objectives by effectively evaluating and managing the risk factors and processes within an organisation. Once the risk factors are identified, the Internal Auditors focusses on managing the risks and processing them in the right way. Internal Audit is commenced in sync with the management to analyse and review the processes of an organisation by identifying areas where efficiencies and improvements can be progressed on strategic needs. Internal Audit is functioning as a division to make sure that the prevailing internal control measures are effectively progressing adhering to the norms, procedures and strategies as put forward by the management. What is the need for an Internal Audit in a company? There is always a basic necessity in businesses to understand that the business is moving in the right track. Hence, the need of an internal audit arises as and when the business flourishes with time and in size and with its operations by ensuring proper compliance while expansion. The urge to call for an Internal Audit is to review the facts of procedures on their operations of various divisions and report for non-compliance, inefficiency, identify critical control areas and hatch areas of improvement to recommend corrective measures. Internal Audit is necessary as it deals with issues that are fundamentally important for the survival and prosperity of any business. Internal Auditing is now a necessity as it has become a specialised service requiring not only expertise in accounting but also in organisational behaviour and in functional areas of management. What is the Scope of Internal Auditing? The Qualified Practice of Internal Auditing in its International Standards , the IIA states that ‘internal audit activity should evaluate and contribute to the improvement of risk management, control and governance processes using a systematic and disciplined approach”. Whether the Financial reports are correct, dependable, apt and complete. Whether there are any suitable operations to govern the record-keeping and reporting of the business. Compliance with Laws, Regulations and Contracts: We as your Internal Auditors will be reviewing your ongoing systems and processes to make sure that your business is in compliance with UAE Laws. Businesses should have substantial impact with its ongoing policies, plans and procedures to have the reports of the processes to determine that the operations of your business have complied with the law of the region. Not adhering to the laws and policies in the UAE will attract huge penalties and serious consequences, hence 100% compliance is a must for the businesses which can be projected when proper systems are adopted. Safeguarding of Assets: As your Internal Auditors, our internal audit team shall evaluate the systems and processes of safeguarding your assets to get and overview and evaluate the risk of losses from any unforeseen or unfortunate incidents like theft, fire, etc, improper activities and exposure to elements of nature. Whether correct action has been taken or not. Accomplishment of Objectives and Goals for Operations or Programmes: As your Internal Auditors we will be evaluating the processes and development of programmes to determine if the end result or outcome have been constant with the ongoing objectives and policies of the business and whether the objectives and policies should be being taken forward as it had been decided. To endorse precise integrity and morals within an organisation. To make sure that the organisational performance supervision and accountability are progressive and effective. To efficiently communicate the risk and control evidence to the concerned department of the organisation. To manage the events and actions of communicating the information among the board members, external and internal auditors, and the management efficiently. Nowadays Internal Audit has come up with modern days approach which covers vast areas to indulge in from reviewing of custodianship and safeguarding of assets, compliance with policies and reliability of accounting information. It can thus be seen that the modern concept of internal auditing convers not only the traditional functions dealing with a review of custodianship and safeguarding of assets, compliance with policies and reliability of accounting information but it also lays emphasis in new areas like reviewing the economical and efficient use of resources and organisational performance. Once all the areas are assessed then, finally it will be evaluate the entire governance process and suggest recommendations for the businesses enhancement. Are you thinking of starting your business in Dubai? Congratulations, you have chosen one of the best business ecosystems in the world for your new endeavor. Dubai is more than mere a city of architectural marvels– it is one of the most fertile grounds for new businesses. This is just one of the many things that make the commercial capital of UAE the best place to live and work. And as for starting up a business here, there’s no question that there’s a lot of potential to be tapped here in Dubai. So, if you are eager to set up your own enterprise, this article will help explain what you need to know and do to get your company registered and off the ground. We have equipped this article with necessary links to guide you about the process and documentation required. Take a good look at the below before you kick off the actual process- the good news, though, is that on average, if you are ready with all required documents, it takes less than 10 days to start your company in Dubai. So, let’s start! The success of a great business venture depends on sound knowledge of the local region, thorough research into the viability and demand for your product or service and a credible business plan that is likely to attract investment partners. Yes you have a great idea, but is there a demand for what you are offering? What does your competition look like and what puts your business offering a notch above the others? Select a Location that optimizes suitability, convenience, and costsAnother important step in planning a business startup in Dubai is to determine the most suitable location for the business. Setting up a profit-based enterprise in the city wouldn’t do you much good despite the growing economy if you’re customers or clients can’t reach you.You need to set up your business in an area that is most profitable for your business or most convenient to your business. A location in the right city can be selected for a shop or an office is most known for the type of product or service you are dealing with.If you are planning a Free Zone company then you must make the selection based upon the criteria of distance, costs and if it is suitable for your product, business model, and trade requirements.A tenancy contract must be concluded. If you’re aiming to start a small-scale enterprise, then the basic amenities, like telecommunication, storage, and space inside the establishment is the basic concern that must also be satisfied. Other services available in the commercial property can vary greatly. Once you business is registered, the Ministry of Commerce will require owners to show proof of financial investment. If you are new to the region and have no track record, you must be prepared to find your own financial resources through your bank or by other means rather than relying on local support. Once you have established the validity of your concept, from a marketability stand point as well as financial viability, you can now look at the steps for turning your idea into a booming business. UAE Commercial Companies Law and Federal Law define seven basic categories of business organization that can be established in Dubai and the UAE. The requirements for minimum capital levels, shareholders and procedures for incorporation will vary with the type of business structure. Another very significant change is in the ownership of companies.Businesses within the UAE are divided into two main categories: mainland businesses and freezone businesses. Confirm your Visa eligibility and requirementFor a business startup in the UAE, a visa permitting you and employees to live in UAE is essential to run your business.Visas are allowed for almost all businesses.However, their number varies according to a variety of criteria such as the size of the office, nature of the business, the category of the employee or the investor. Parent Business formation certificate duly attested from the UAE embassy in the home country of the parent organisation. Businesses of any category operating in the UAE must have a license for registering into the business network of the country. Company registration in UAE requires a trade license and permission from different law enforcement agencies and the state government for setting up your business. Company registration in Dubai for businesses like financial services, food, health services, printing and publishing requires a lot more clearance than any other business. Commercial License – This license is issued to those companies who are just looking for trading business activities. Industrial License – This license is for those companies who will engage in manufacturing or other industrial activities. Professional License – This license is issued specifically for different service providers, artisans, craftsmen and other professionals. For the company registration in Dubai, the Department of Economic Development (DED) of UAE issues the required licenses. There are many complex requirements associated with the issuing of the business license. The company registration in Dubai for financial services must need the approval of the Central Bank of UAE. The license for the manufacturing companies requires approval from Industry ministry of UAE. Similarly, the medical service providers require approval from the Health Ministry of UAE .Once the necessary documents are obtained and formalized, the initial application process will begin at the relevant issuing authority along with registering the company’s formal name. This crucial stage paves the way for clarification of the final fees and the final acceptance of the company’s proposed activities. Hiring a business advisory firm to register your business startup may be your best option. You may find their expertise in dealing with the local government bureaucracy and with Free Zone Authorities to be of great help in planning and itemize your business startup costs. Also, they will take care of all the necessary requirements to help you to have your business registered legally with minimal problems on your end.